If you are interested in multiple opportunities, you will need to apply for each position separately. 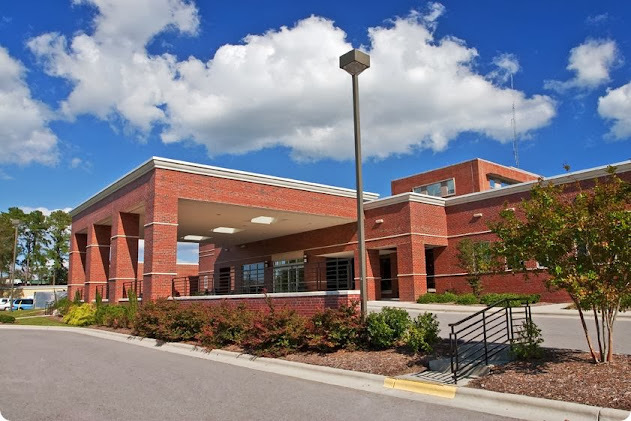 Vidant Beaufort Hospital, located in Washington, North Carolina, is a 142-bed not-for-profit hospital offering acute care services and a broad range of inpatient and outpatient services in the region. Progressive healthcare facilities combined with personal, hometown compassionate care ensure that patients in Beaufort and surrounding counties have access to an exceptional level of care. The hospital provides access to advanced treatments and technology in the areas of general surgery, orthopedics, gastroenterology, and rheumatology. Vidant Beaufort offers a full array of state-of-the-art diagnostic testing. Administers nursing care with appropriate knowledge and skills to critical medical and telemetry patients. Supports the patient and the family with the dying process. Performs admission assessments and subsequent assessments collecting data reflective of the patient's status, and interprets collected information to identify each patient's nursing care requirements relative to his/her age-specific needs. Provides care as needed and described by Health System policies and procedures. Completes all required documentation. Addresses patients' learning needs and ability. Works to promote general health by educating patients and family members on warning signs and symptoms of specific disease processes. Develops nursing care plans, executes them, and discusses plan with patient and family members. Enters orders in the computer and participates in daily operation of the Surgical Unit, 2 East. Attends required in-service, yearly education, and departmental meetings. Participates in the collection of Performance Improvement data. Adheres to Health System and departmental policies and procedures. Practices effective communication with peers, physicians, management, and all other stakeholders. Current registration in the state or eligibility to do so. ACLS certification preferred required within one year of employment, if applicable. It is the goal of Vidant Health and its entities to employ the most qualified individual who best matches the requirements for the vacant position. Offers of employment are subject to successful completion of all pre-employment screenings, which may include an occupational health screening, criminal record check, education, reference, and licensure verification. We value diversity and are proud to be an equal opportunity employer. Decisions of employment are made based on business needs, job requirements and applicant’s qualifications without regard to race, color, religion, gender, national origin, disability status, protected veteran status, genetic information and testing, family and medical leave, sexual orientation, gender identity or expression or any other status protected by law. We prohibit retaliation against individuals who bring forth any complaint, orally or in writing, to the employer, or against any individuals who assist or participate in the investigation of any complaint.